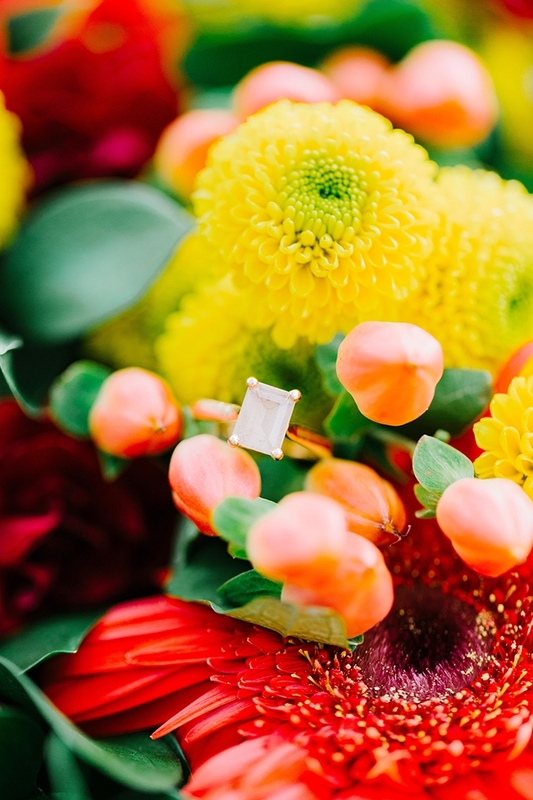 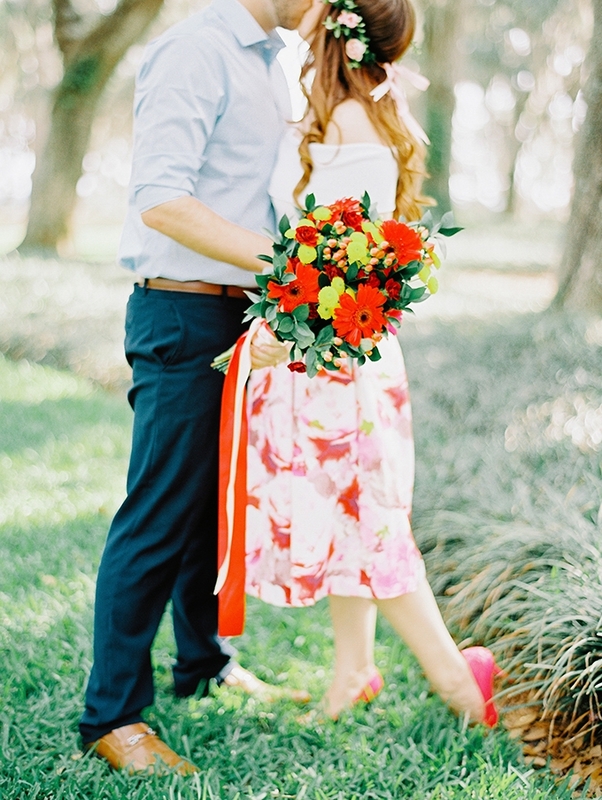 You can’t help but feel the summer lovin’ in this colorful engagement session captured by Tara Libby Photography! 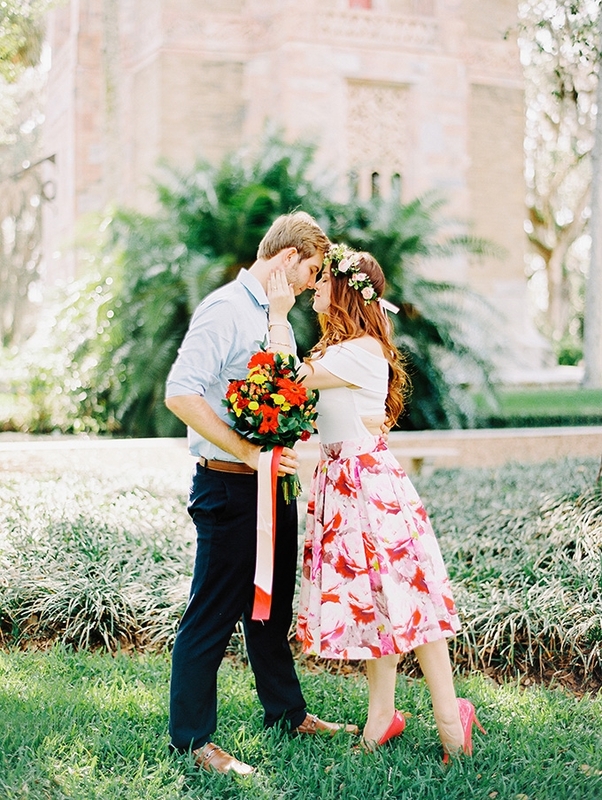 The bride’s styling is gorgeous, with her bright floral skirt and heels as the perfect pop of color against the beautiful garden backdrop. 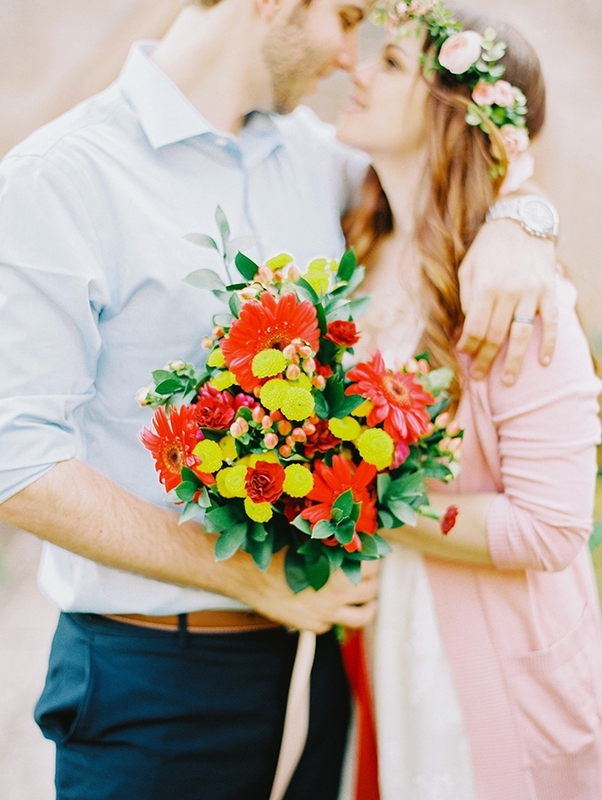 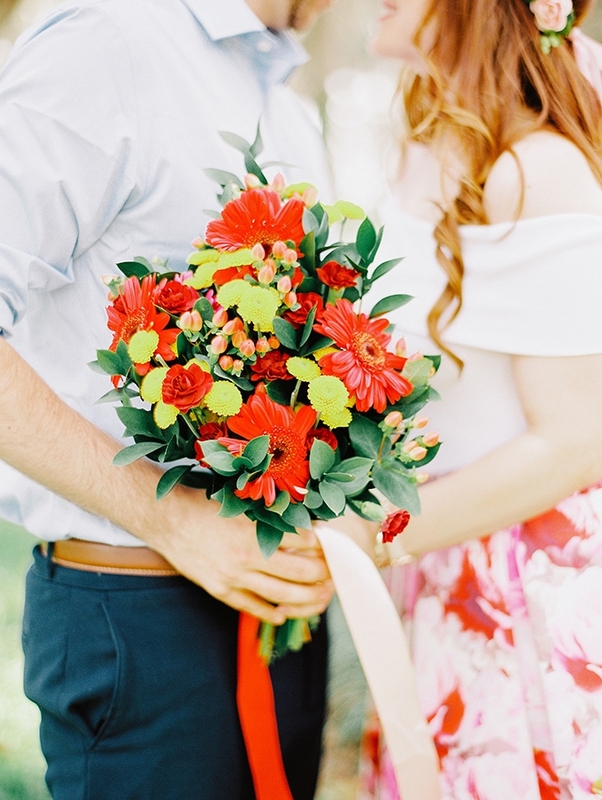 The vibrant red and yellow bouquet and whimsical flower crown are the icing to this shoot, making their stolen garden kisses even sweeter. 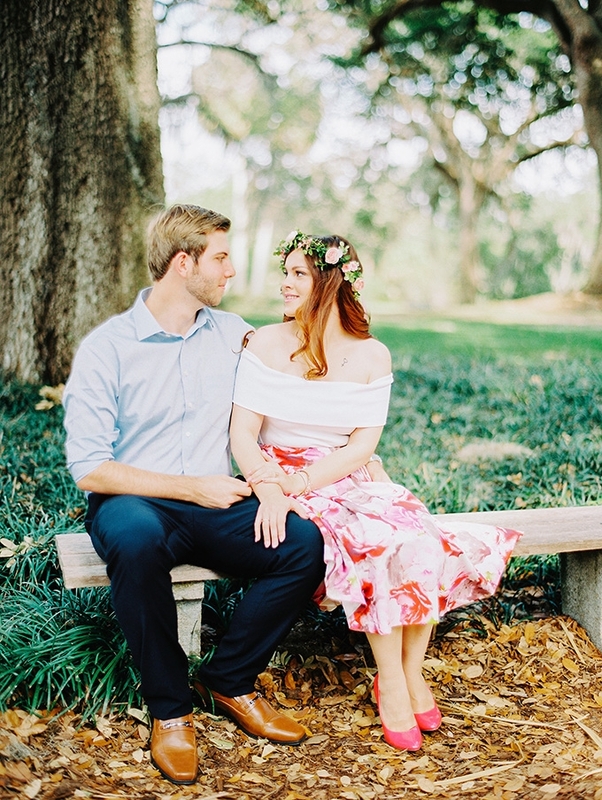 Marysia and Josh’s engagement session was captured under the mature oak tree canopies drenched in Spanish moss at the most romantic location and best kept secret in all of Central Florida, Bok Tower Gardens. 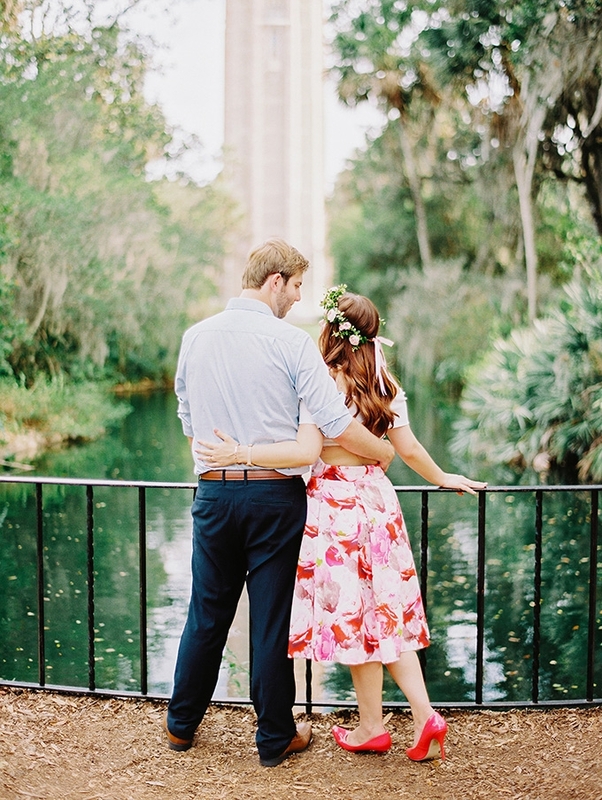 Bok Tower is the highest point in all of Florida and nestled on the highest peak is the tower itself. 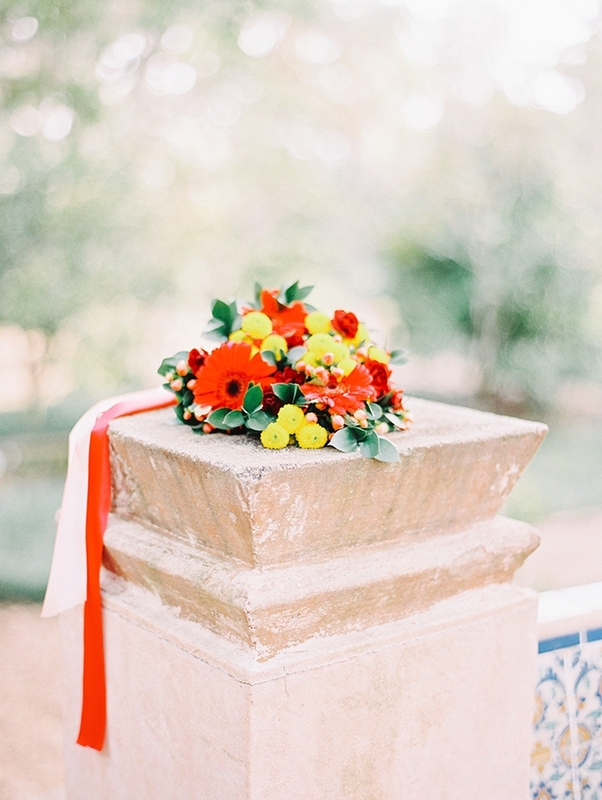 Every 30 minutes the charming pipe organs within the tower serenade those around lucky enough to hear, you can’t help but be swept away at the fairytale-like ambiance within the gardens. 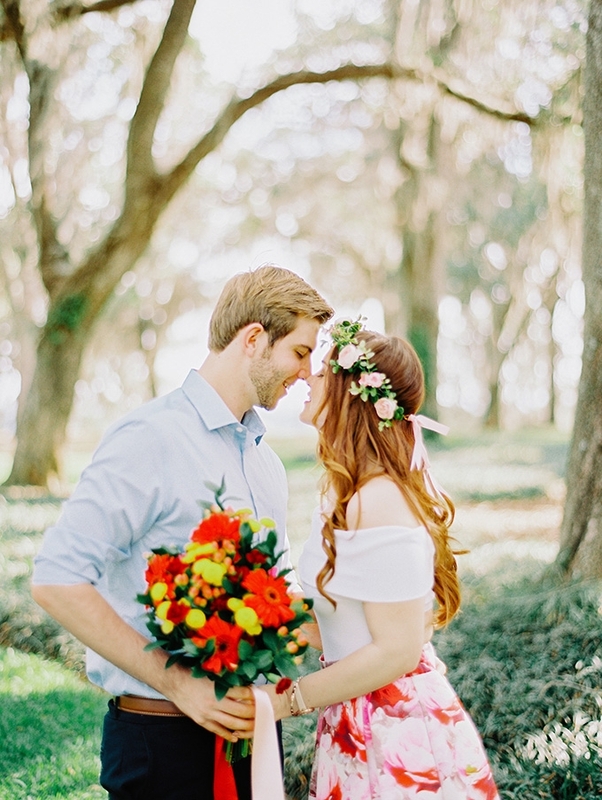 This was the perfect location for this sweet couple’s romantic engagement session.